Is Comoros Coffee best cafe in Mascot? We were recently featured on Sydney Unleashed website - enjoy the read! 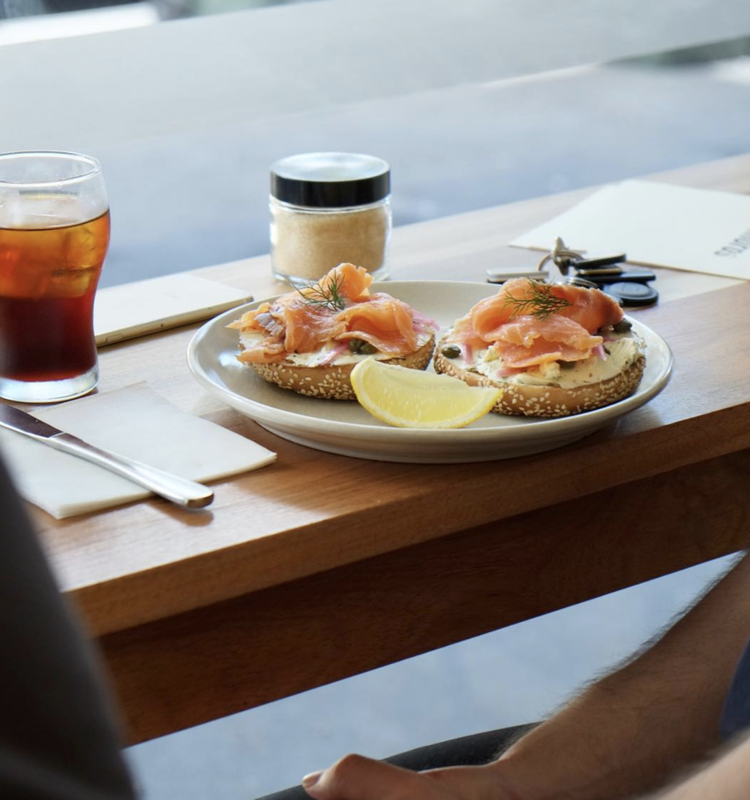 “Bagel lovers rejoice — Sydney has a new hot-spot where you can enjoy a bagel with your morning coffee. Comoros Coffee has officially opened its doors to Mascot locals and airport travellers alike. 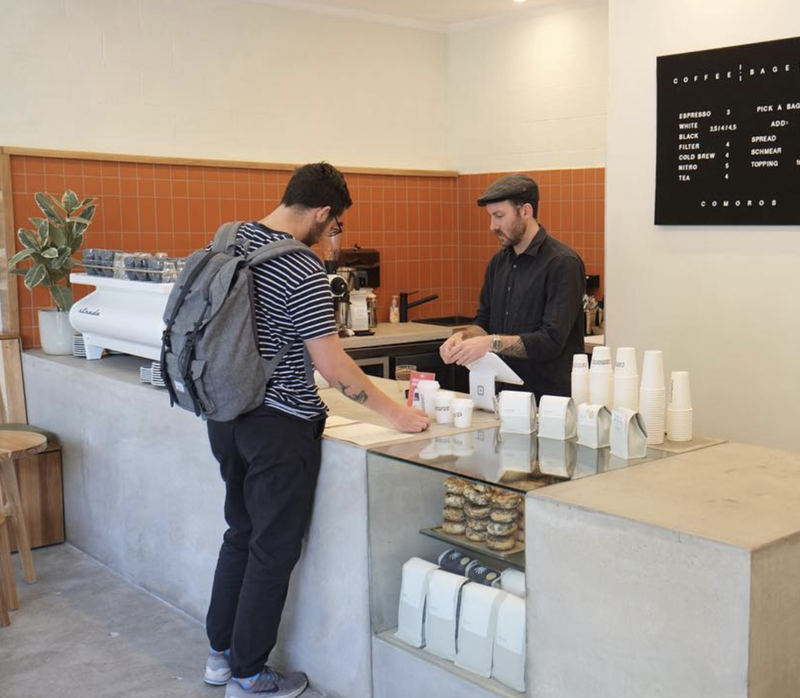 Inspired by American bagel and nitro coffee culture, owners Nathan Devlin and Sam Crawford have now brought these options to the people of Sydney. “When looking for a home for our new venture, we noticed a pocket of Sydney, right next to the airport in Mascot, with limited specialty coffee and a whole lot of potential,” says Crawford. Enter Comoros Coffee – Comoros is a group of Islands situated off the coast of Africa and was one of the first places coffee was cultivated. “We thought it was a fitting name for people’s first or last stop when heading to the airport,” says Devlin. Their ethos is simple: to serve delicious, consistent coffee. And we have to say, you won’t find a better coffee near the airport. Roasted by Seven Miles Coffee Roasters, with an additional showcasing of local roasters through a rotating black coffee menu, their coffee is to die for. They even have a cold coffee selection which includes a sensational creamy black nitro coffee – try this one for a real thirst-quenching caffeine hit. Bagel enthusiasts will love the food menu with a bunch of bagel options available (all woodfired by Smoking Gun Bagels). After picking a bagel, you can add a spread or schmear or add a lunch topping after 10am. Our top pick would have to be the Smoked Salmon with neufchâtel, capers, tomato, pickled onions and dill – the perfect brunch offering. The Tomato & Basil is another crowd-pleaser with dried olives, whipped feta and neufchâtel – a very simple yet highly delicious mix.